For the avoidance of doubt, I can categorically state that I have never ever played Piers Morgan a tape of any kind, never mind a voice message from my ex husband. Piers Morgan is doing all he can to deter the Leveson enquiry from finishing their important job. Morgan is using me as his scapegoat and I would be more than happy to answer any questions that the inquiry would like to put to me. As stated in a press release by my ex-husband, he has never insinuated that I have leaked tapes of him to the media. The question is: did Piers Morgan know about phone hacking during his tenure at the Daily Mirror? He says he did not. That is not an admittance of phone hacking. Morgan is fighting a bout he can win. 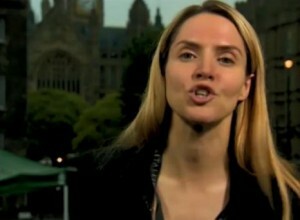 Chuck in Heather Mills and the Leveson Inquiry is turning into a vanity contest to which only the important get called. Morgan: You can’t go to rubbish tips? Leveson: Who owns “discarded” rubbish. Morgan: It’s not owned by anyone. Leveson: Yes, it is – the council.